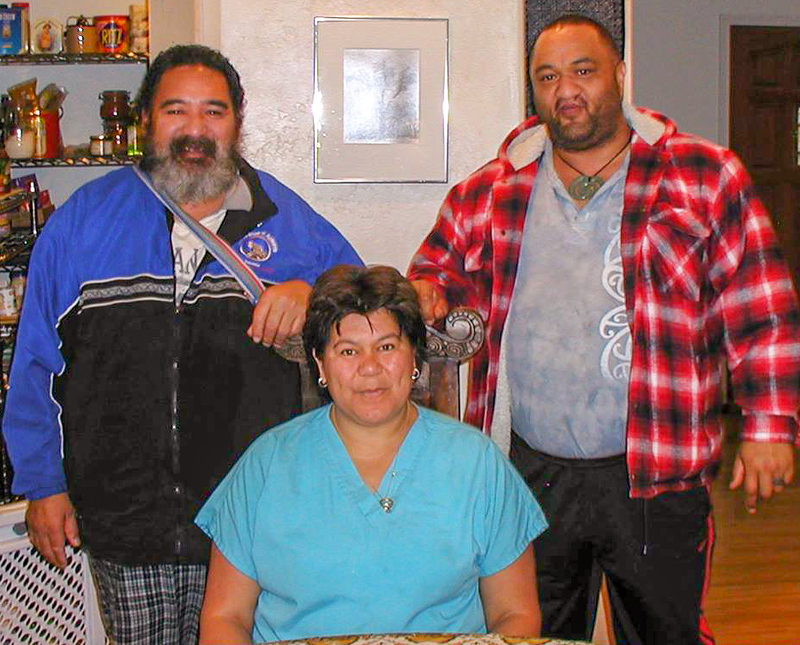 Maori Healers (worldwide) was a concept that came in to being in 2000, when a small group from Aotearoa / New Zealand travelled to the USA at the request of friends, to share their unique healing and philosophies.. The deeply physical bodywork, was mind blowing to the many that came, and for others a challenge. All in all, this first journey brought about the trail-blazing that Papa Joe acknowledged often in his korero (speaking) and it set the foundation for what was to come in the future. In recent years, with the inclusion of the workshops, the information shared within is about empowerment of the self through the use of specific protocols that aid one's well-being. Physical touch is the medium we work with. Romiromi and Mirimiri are symbiotic meaning they are equal parts of the whole and in order to do one you must do the other. An example; the use of the Raakaau (stick) as a bodywork tool to release tightness in muscles, ligaments, tendons, on the legs, back, neck, sides of the body. Much of the Raakaau work Atarangi honed from what she saw and was taught, to the program that is presented today. She often says, 'If we were to do the work that I saw these Kuia (Elders) doing with the Raakaau, the bodies we have now wouldn't be able to handle it'. Why? Because the Raakaau used would have natural knots in them and they would grind these in to specific places on the body (haemata and haepuru), or they held a point until they got a result (not always easy on the person receiving, but definitely effectual). Specific songs are used to open up the core, engage the lungs, cleanse the throat. When this is done at a cathartic level, like every thing else in life, it shifts and moves ones core.